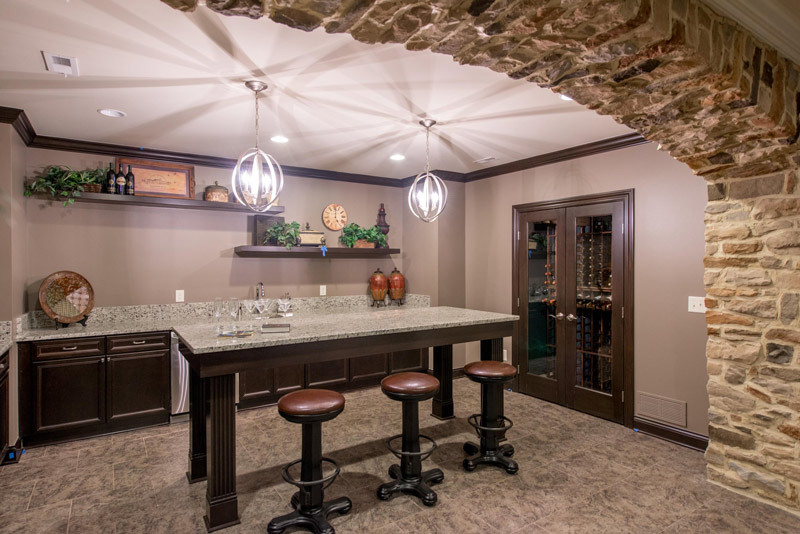 A custom home in Jerome Village offers a variety of traditional architectural styles and fine craftsmanship. Located in Plain City, Ohio, this unique development consists of 13 different neighborhoods extending across 1,556 acres within the Dublin school district. Future development plans include a commercial center with businesses, markets, shops and restaurants. 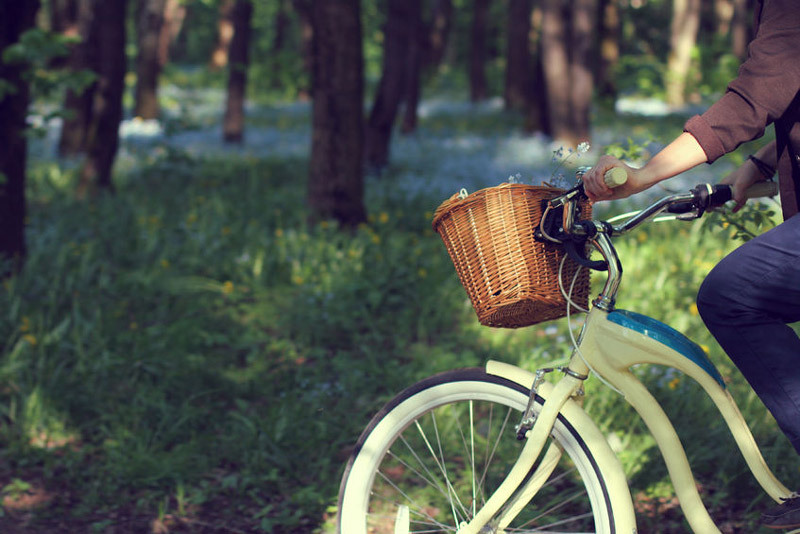 This area features 600 acres of green space with close to 15 miles of bike trails that tie into the trails of Glacier Ridge Metro Park. Other activities within the park include horseback riding, hiking, disc golf and multiple play areas. Additional outdoor activities are available at nearby Prairie Oaks Metro Park, Silver Creek Reservoir and Three Mile Creek. For your own new custom home this year, premier homebuilder Romanelli & Hughes is offering beautiful lots in two distinct neighborhoods within Jerome Village—Arrowood and Eversole Run. Reminiscent of how great neighborhoods historically took shape, the Arrowwood Community offers a combination of architectural styles, ranging from Colonial to Greek Revival, to memorable Craftsman Bungalows. The Property Owners Association maintains the common areas, including the care of entries, green spaces, utilities, ponds and fences, ensuring the preservation of this high-quality community. With an aura of old charm alongside the benefits of a new home community, some of these spacious, luxury homes are move-in ready. Or choose among available lots and work with Romanelli & Hughes’s residential designers to create a unique new home to fit your vision of the lifestyle you crave. This private and secluded section of Jerome Village offers home sites situated north of Wells Road off of Hyland Croy Road in Union County. 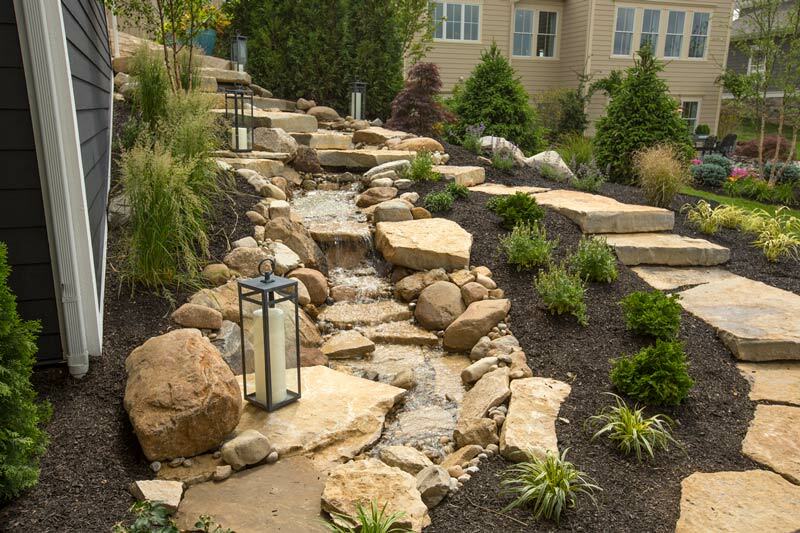 This section was carefully designed to provide premium home sites for optimal serenity. Surrounded by a natural, park-like setting, the area includes mature trees, natural ravines and gently rolling hills. 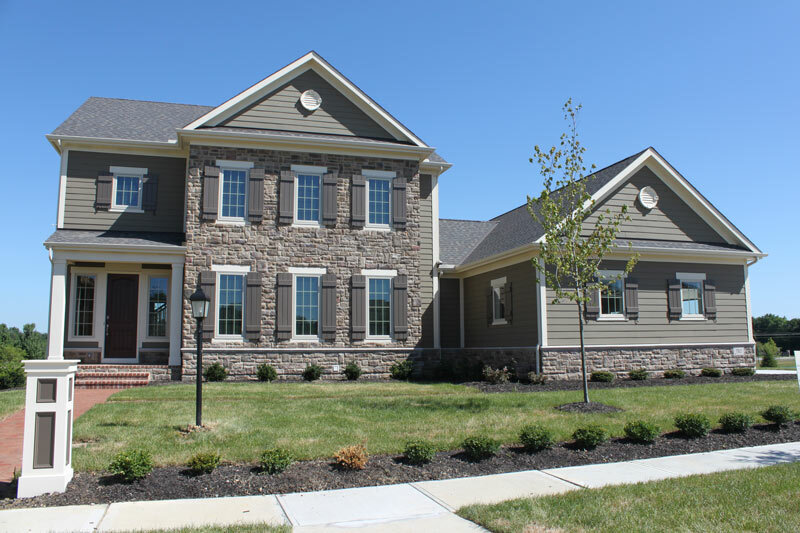 The community is enhanced by the tranquility of a large pond and nearby Eversole Run Creek. 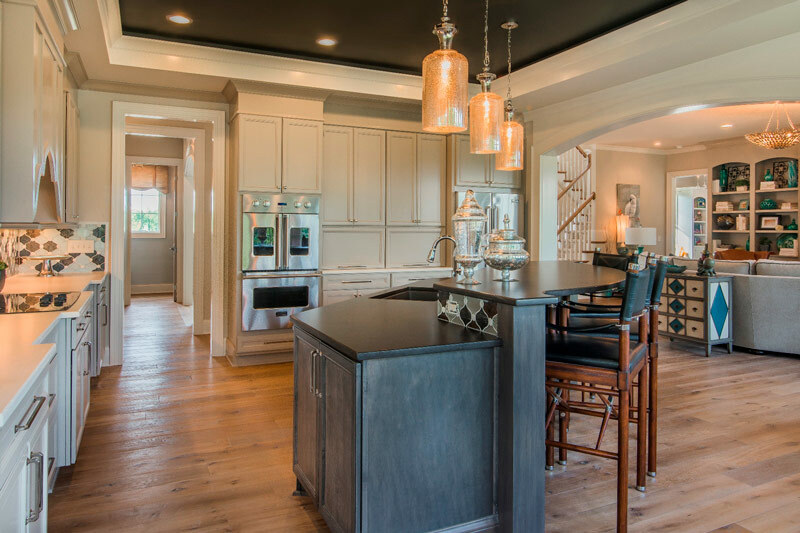 Representing the absolute finest architectural and landscape design standards, along with larger lot sizes, a custom Romanelli & Hughes home in Eversole Run means additional upgrade options. Open entertaining and living, represented by huge great rooms and luxury gourmet kitchens, can extend to outdoor kitchens and covered veranda dining. 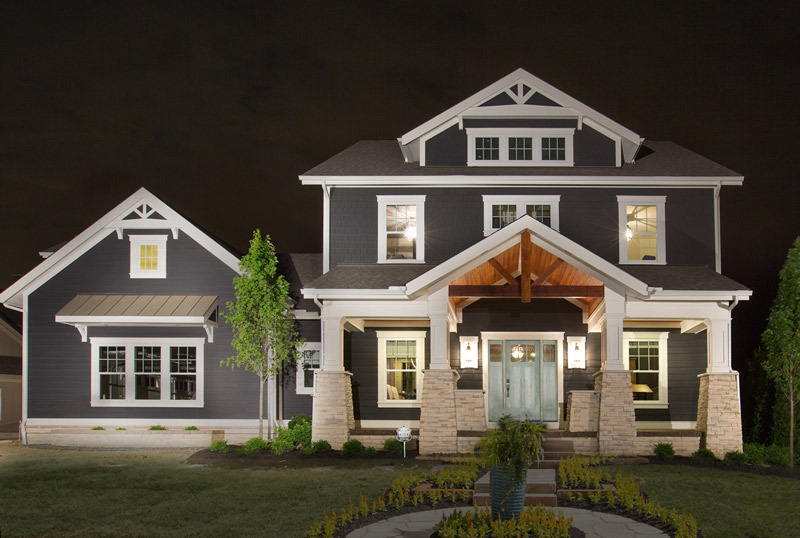 As the future site of the 2018 BIA Parade of Homes, this community offers the ultimate choice of premier custom homes by the best custom luxury home builder in the area—Romanelli & Hughes. Don’t let your dreams only be dreams. Choose your dream home now.